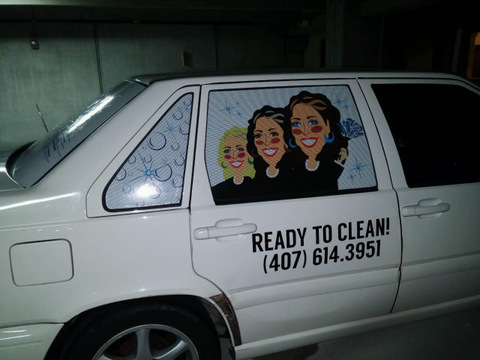 Have You Considered Vehicle Graphics in Winter Garden FL? With a population of just 34,568, Winter Garden is relatively small. Yet, this town is “a charming little city with a juicy past” as the motto goes. From our shop in Orlando, we love visiting our Orange County neighbors to the west. And, the economy in Winter Garden is bustling thanks to several large employers, such as MasterBrand Cabinets, UPS, Westside Tech, Central Florida Kidney Center, Quality Health of Orange County, and more. Though there is a diverse variety of businesses throughout Winter Garden, there is one thing they all have in common: a need to stand out. 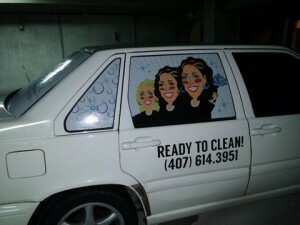 These days, one of the best ways to get your brand recognized is with vehicle graphics in Winter Garden FL. Fortunately, Citrus Sign Studio is your full-service sign shop for vinyl graphics for your company vehicles. If you are looking for an affordable way to put your company name and contact information on a fleet of work trucks, vehicle vinyl lettering, also known as truck lettering, is the way to go. These letters and numbers are made of vinyl designed to withstand all sorts of harsh conditions for many years. There are dozens of standard colors and fonts. Or, we can custom design your lettering to match your business’s existing branding. We even have metallic, reflective, matte, and neon styles. Vinyl lettering is typically installed on the doors of pickup trucks or the sides of vans to display your organization’s information. However, this is also an effective tool for advertising your services and products on the back of your vehicles, where people stuck in traffic will have plenty of time to read about all you have to offer. If you have seen graphics on vehicles traveling around town, you may be aware of the level of detail we can achieve with spot graphics. Our state of the art, large format digital printer prints high-resolution images directly onto vinyl. We then install it for maximum impact. Spot graphics are ideal for showcasing your logo, handiwork, and top-selling products. They are best when used in conjunction with vinyl lettering. You can only market your business on the body of your car. The windows are off limits, right? Think again! Thanks to vinyl window perf, you can continue your message over your windows. Window perf consists of thousands of tiny holes that make up about half of the area of the vinyl. 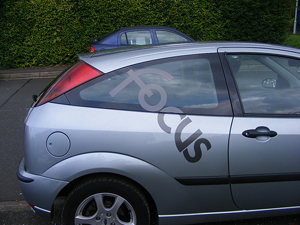 This allows you to see out of the windows while still allowing your information to be visible on the outside. Like spot graphics, just about any images, photos, and other graphics can be printed on window perf. The only limits are your imagination! And, we’ll help with that too! From Advanced Drainage Systems, Inc. and Lake Apopka to Cranium Academy and Clubhouse and Winter Garden Village and everyplace in between, we enjoy making the trip to Winter Garden. 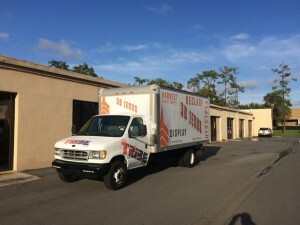 If you are in need of vehicle graphics for Winter Garden, FL, we hope you will consider contacting the friendly experts at Citrus Sign Studio today for a free consultation and quote.